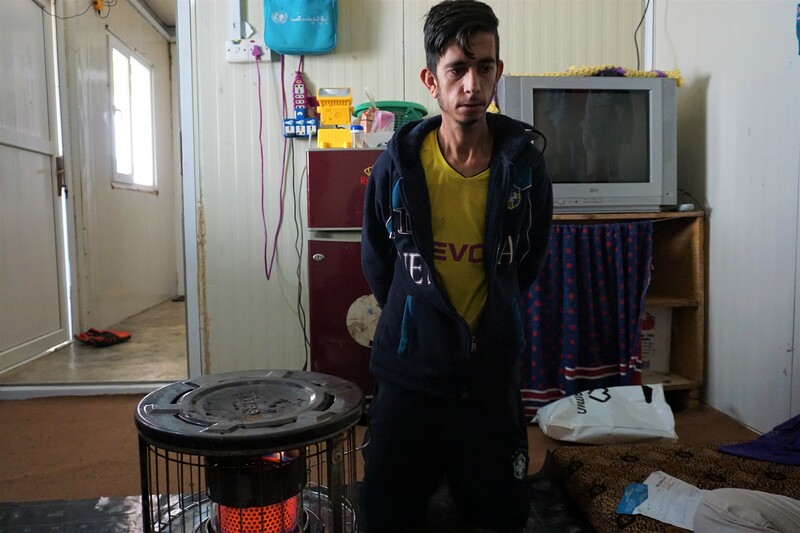 Dkhel Qaso is 22-years-old and lives in Dawoodia camp in the Duhok governorate of the Kurdistan region of Iraq. Dkhel was born with congenital deformities of his pelvis, lower legs and feet. Both his feet are almost completely turned in, though with great difficulty, Dkhel manages to walk a few steps to the camp cafe where he can have a chai with his friends. Dkhel with his mother and father in one of their caravans. Dkhel lives with his parents and seven siblings. They share two caravans. 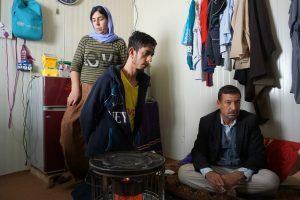 The family had to flee their town in the Sinjar region in August 2014 when ISIS took over. They first ventured into the mountains along with thousand upon thousands of other Yazidis. It took them ten, long and hot summer days to reach the Syrian border 30km away, by foot. Dkhel’s father carried his then 18-year-old son the whole way. Dkhel needs to undergo five consecutive surgeries to correct his deformities and provide him with full use of his lower limbs. However, the procedures are very expensive, and Dkhel’s family relies on a meagre camp allowance and the wages of one of Dkhel’s cousin who works in the camp coffee shop (barely making 3$ a day).